As a part of my research it has been my pleasure to initiate and organise a conference, performance event and publication over the last year and a half. 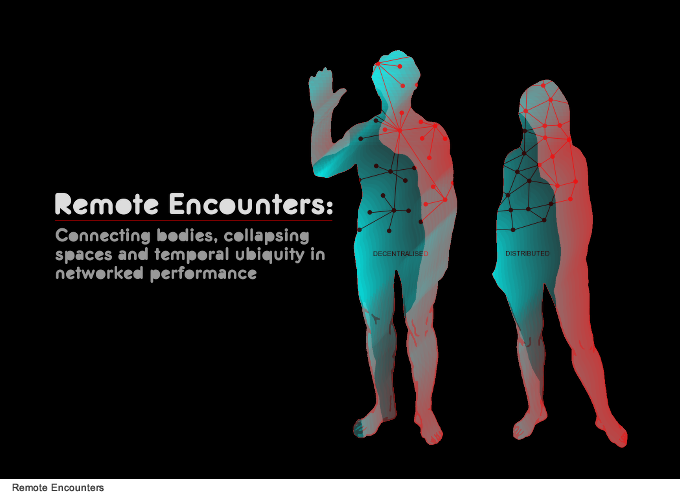 “Remote Encounters: Connecting bodies, collapsing spaces and temporal ubiquity in networked performance” was a two-day international conference with performances held at the University of South Wales. 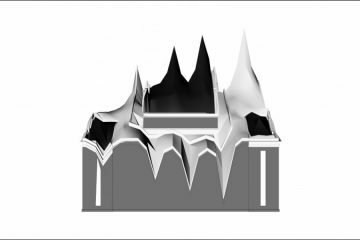 In May 2014, a selection of performances and papers from the conference were published as a special issue of the performance studies journal Liminalities. Both conference and journal issue presented the breadth of interdisciplinary and transdisciplinary practice that can be considered as networked performance. This included performance employing live video, stage-based performance, performance in virtual worlds, mixed-reality performance, sonic arts, performance with pervasive and/or wearable technologies. The conference, performance event and publication explored the breadth of current networked performance practice and provided an opportunity for practitioners with shared conceptual values rather than practice defined by media/form/process, to assemble (whether in person or via a network) together. Each of these objectives was achieved successfully and the conference, performance event and publication became a point of convergence for practitioners from new media art, dance, theatre and music. These points and the conference themes that emerged have been discussed at length in the special issue of Liminalities, both in the editorial co-written with Rea Dennis (Deakin University), who co-edited the issue, and in the issues papers. This relatively short text is not to reiterate those points again but instead to raise two points I observed and would like to reflect on with regards to my own personal ongoing research. Firstly, while there was a wide breadth of performance work performed and discussed at the events and in the journal issue, the majority of what was considered as networked performance should more accurately be termed as internet performance (including internet-enabled/assisted/augmented etc.). Secondly, the events and journal issue were essentially an experiment in networking itself. While for each contributing practitioner and academic the events and journal issue provided a networking opportunity on the one hand, on the other for myself as practitioner, who in this context as organiser facilitated the practice of others, I was particularly interested in observing if practitioners from ‘traditionally’ separate disciplines could effectively network, how their themes might intersect and whether a common or shared language could be established. The use of the internet in the majority of performance work presented or discussed clearly demonstrated that since it entered the public domain in the early 90’s there has been an explosion in its artistic application as a means, new ‘site’ and context for creative practice. The internet has however masked many other considerations of networks, almost totally assimilated their history as a means to its own end as a post-modern media form, and while its benefits are numerous it has had a detrimental affect on a wider philosophy of networks. What was disappointing to see and hear throughout the events and journal issue was the interchangeable use of the terms internet and network. A parallel can be considered here; the often interchangeably used terms of internet and World Wide Web. In many instances their confusion isn’t an issue. However when considering a form of performance thats very essence consists of networks needless to say the distinction between the two, the former a system of computer networks reliant on the TCP/IP protocol and the later a subset network that employes the HTTP protocol, should be clear. Just as the World Wide Web is not the internet, the internet is not the only network – it is one type of network reliant on digital technologies. Networks are fundamentally systems with ‘connected’ parts and so it was surprising to not host or discuss more practice that took this much wider and long-term view. This is not to say that the only practice present in the events and journal issue interpreted networked performance as internet performance. The performance It’s Not You, It’s Us by Cassandra Tytler and the paper Staging Subjectivity: Neuroscience, Embodiment and the Virtual by Kate Genevieve in particular employed strategies of connecting opposites, in both cases technology with performer and the mediated with the live, as their network to induce behaviour; the performance that occurred. 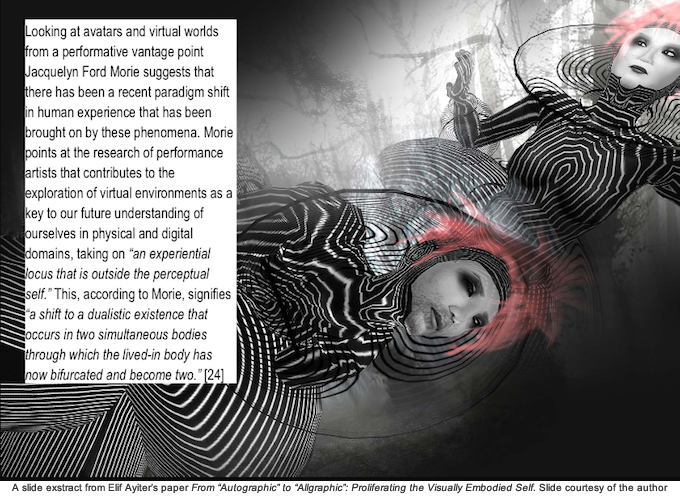 In addition some works, such as Stahl Stenslie’s oeuvre, were quite far removed from our current use of the internet as a screen-based experience while other papers such as Elif Ayiter’s From ‘Autographic’ to ‘Allographic’: Proliferating the Visually Embodied Self tackled issues that cut across all considerations of the networked. Don’t confuse this with a rally-cry for a post-internet art/performance, it’s not. Post-internet is just recognition that we live in an era of the internet as a global digital network. In many ways it is a step towards a return to that much wider and long-term view of networks associated with cybernetics prior to the existence of the internet. It is a call instead for artists to embrace the breadth of networks, to explore what can be connected, the relationships that can emerge between what is connected and the behaviour they generate. 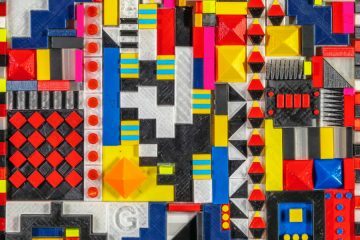 Call your yourselves Cybernetic Artists or Post-Internet Artists, irrelevant, the point is move beyond obsessing over a singular technology – it’s just the new formalism. The conference, performance event and to a lesser extent the journal issue were, from my point of view, an experiment in networking. 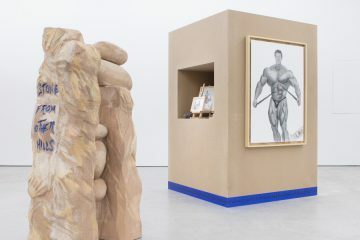 Ascott’s behaviours; the behavioural ritual, behavioural trigger and behavioural structures (Ascott, 1968, p.106); which consider the relationship between artist, spectator (audience or user) and object (specifically an art work), were considered when conceiving of the events and publication. The latter would provide a behavioural environment containing and facilitating the former. Could artists, dancers, actors, musicians and academics network together? Could they find commonalities between their practice? Would their terminology and points of reference be similar or have shared features? What would happen when complete? Would participants return to a media/form/process defined practice or would networking develop into interdisciplinary and transdisciplinary collaborative initiatives? While it’s still early to discuss if collaborations are occurring and how successful they are, the events and journal issue did indicate encouraging signs in this direction. Throughout the conference and performance event the same or similar references and themes occurred in both papers and performances. Several themes such as identity and embodiment provoked long Q and A sessions after presentations and performances, the latter of which often contributed different interpretations of the themes and were folded into discussions as examples as the two days progressed. Where terminology and references were overly specialised, embedded within a particular type of practice, they were noted, received as a lateral means of considering an issue and often participants contributed comparative terms or examples to clarify. The most prominent indication of collaborative potential or at the very least a sign of interdisciplinary/transdisciplinary interest occurred in the journal issue. Elena Pérez, an attendee at the conference and performance event, having viewed the performances of Annie Abrahams and Paula Crutchlow (performing remotely with Helen Varley Jamieson), met with them and discussed their work, approached the editors and proposed a comparative paper discussing the performances. 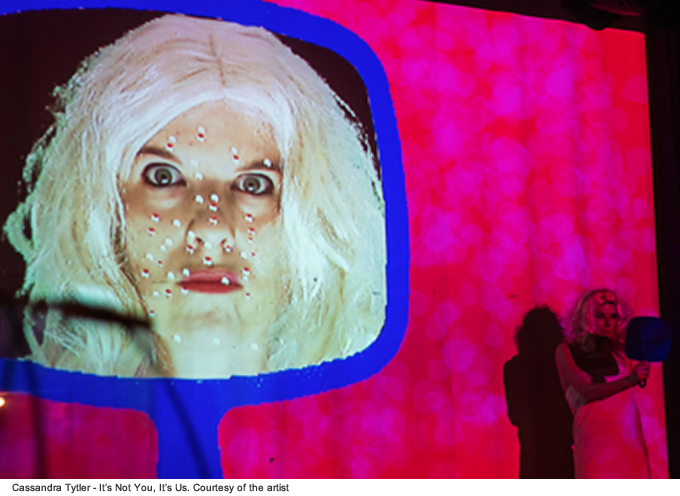 The paper Meaningful connections: Exploring the uses of Telematic Technology in Performance provided a perspective of the hosted networked performances that was distinct from the artists and editors. In essence the paper demonstrated that networking at the conference was successful, that the environment was sufficiently unrestrictive to be supportive of behaviour not just for and between participants presenting papers and performing but also for members of the audience. During the conference audience members frequently joined in with discussions. It has been particularly rewarding that one has ‘crossed-over’ and critically discussed two performances in a paper for the journal. Both points raised above, the problem of terminology and the success of networking, seem closely related. The problem of terminology is in fact most likely a result of networking practitioners who traditionally come from very different media/form/process led practice. In discussing, negotiating and developing shared terminology trial and error are likely to be frequent occurrences and this seems to have been the case with regards to the confusion of terminology. The success of networking however demonstrated the effectiveness of the environment and the ability (desire and enthusiasm) of the participants and audience to overcome limitations of terminology and work towards progressing networked performance as a whole even if it meant temporarily making some small sacrifices in communication. Events and publications such as these should be considered as a first step in initiating interdisciplinary/transdisciplinary discussion but hopefully won’t be the last. 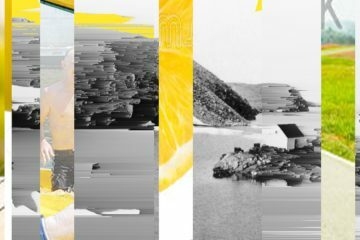 Liminalities issue 10.1 has been compiled from the outcomes of the international conference Remote Encounters: Connecting Bodies, Collapsing Spaces and Temporal Ubiquity in Networked Performance. The issue is available online at: http://liminalities.net/10-1/. Ascott, R., (1968). 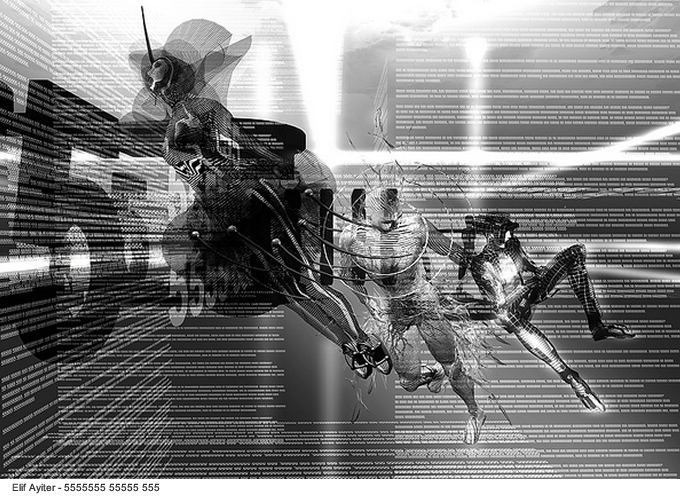 The cybernetic stance: my process and purpose. Leonardo, [e-journal] 1 (2), pp.105-112. Available through: JSTOR <http://www.jstor.org/stable/1571947> [Accessed 11th May 2014]. Ayiter, E., (2014). From ‘Autographic’ to ‘Allographic’: Proliferating the Visually Embodied Self. Liminalities, [e-journal] 10 (1). Available at: Liminalities website <http://liminalities.net/10-1/autographic-to-allographic.html> [Accessed 5th June 2014]. Pérez, E., (2014). Meaningful connections: Exploring the uses of Telematic Technology in Performance. Liminalities, [e-journal] 10 (1). Available at: Liminalities website <http://liminalities.net/10-1/meaningful-connections.html> [Accessed 6th June 2014]. Stenslie, S., (2014). Towards Telehaptic Performativity. In: Remote Encounters: Connecting bodies, collapsing spaces and temporal ubiquity in networked performance, Cardiff, Wales 11-12 April 2013. Cardiff: Remote Encounters. Tytler, C. (2013). It’s Not You, It’s Us. In: Remote Encounters: Connecting bodies, collapsing spaces and temporal ubiquity in networked performance, Cardiff, Wales 11-12 April 2013. Cardiff: Remote Encounters.